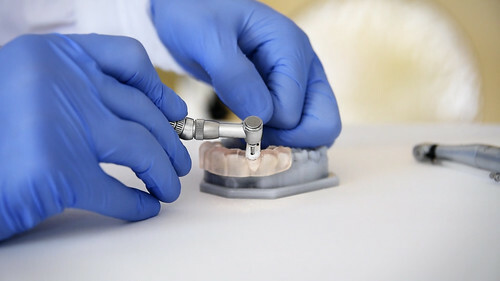 Formlabs Inc. By: Formlabs Inc.
An affordable, 3D printed surgical guide printed on a Formlabs Form 2 SLA 3D printer drills into a 3D printed dental model - demonstrating the precision applications of Digital Dentistry. Free for use under Creative Commons license. If you use this image, please link to "formlabs.com/industries/dentistry/" in your attribution.